BETHESDA, Md. – The National Cancer Institute, part of the NIH, has provided a $12 million grant to launch the largest single study ever to help determine how genetic and biological factors contribute to the risk of breast cancer among black women. Dubbed the Breast Cancer Genetic Study in African-Ancestry Populations, the project will not enroll new patients, but instead will pool specimens and data from a broad swath of institutions and investigators comprising 18 previous studies representing more than 20,000 black women with breast cancer. The study will be a step in the right direction of decreasing the widening disparity of survival rates in breast cancer that sees black women more likely to die from the disease than other ethnic groups. 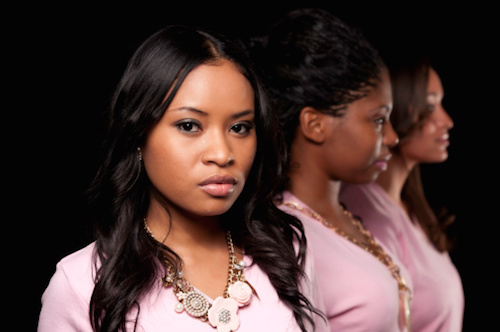 A particular focus of the study will be to begin to understand the genetic and biological reasons that black women are more likely to be diagnosed with more aggressive subtypes of cancer than white women. For instance, the incidence rate of triple-negative breast cancer, one of the more aggressive subtypes, occurs at twice the rate in black women compared with white women. While the exact reasons for these disparities remain unclear, factors including the interplay of genetic, societal, and environmental factors, including access to health care are all implicated. To begin unlocking this puzzle, researchers will compare the genomes of 20,000 black women with cancer, with the same number of black women without cancer. In addition, the study will also compare these to the genomes of white women with cancer and will seek to identify the genetic variations associated with breast cancer risk in black women compared with white women. Researchers will also examine gene expression in tumors to determine the genetic pathways that lead to tumor development. “A number of studies have suggested that genetic factors may influence breast cancer disparities, so we’re hopeful that this project can help to shed further light on this matter.” said Damali Martin, Ph.D., program director for NCI’s Division of Cancer Control and Population Sciences (DCCPS), Genomic Epidemiology Branch, which is administering the grant. Researchers participating in the grant are Wei Zheng, M.D., Ph.D., of Vanderbilt University; Christopher Haiman, Sc.D., of the University of Southern California; and Julie Palmer, Sc.D., of Boston University. Additionally, minority scientists from various institutions, including from one historically black college and university medical school, are playing an important role in this study, and they have been involved in previous research that this study builds upon. For example, the Southern Community Cohort Study, a contributing study for this grant, represents a 15-year partnership between Vanderbilt and nearby historically black Meharry Medical College. The grant will also provide training opportunities for scientists from minority populations.